Take note that a lot of other people are also into crowdfunding. Therefore, you need to come up with an idea that really stands out. Otherwise, your idea will be left out in the dark. You also have to work hard so that more people will help you get the word out there. Getting people to fund your idea will only happen once they know what it is in the first place. 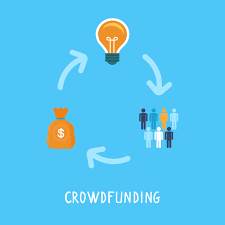 There are a lot of successful business owners now who have started their businesses via crowdfunding. They have prepared well before sending out emails to potential fund sources. They did not just start crowdfunding without realistic proposals in place. If you are also thinking of doing the same thing, you have to be fully prepared for it. Your big business idea could finally be a reality if you get enough people to back your plans up. There are other businesses that started with zero, but eventually bloomed into a huge business enterprise that it is now. You can also be one of them soon. We have compiled an infographic for you to help you through these tips on how to crowdfund your next big idea.